Windows 10 is off to a great start. The operating system is already installed on more than 300 million devices but it’s still far short of Microsoft’s most popular OS, Windows 7. Launched in 2009, Windows 7 has carved out a sizable share of the desktop operating system market. According to NetMarketShare, the OS is installed on 47.82 percent of desktops compared to just 15.34 percent of machines running Windows 10. The point I’m getting at here is that Windows 7 is still an incredibly important part of Microsoft’s overall software strategy. Given its age, however, installing a fresh copy is an arduous task that involves downloading and installing hundreds of updates. Fortunately, Microsoft isn’t turning a blind eye to the issue. Microsoft’s Nathan Mercer recently announced a solution it’s calling a “convenience rollup” for Windows 7 Service Pack 1 that should help matters. The rollup isn’t a service pack as it doesn’t include any new features. Instead, it consists of all the security and non-security fixes that have been released since SP1 that are suitable for general distribution through April 2016. In other words, you can simply install this one update after SP1 and all you’ll need to grab are the new updates released after April 2016. 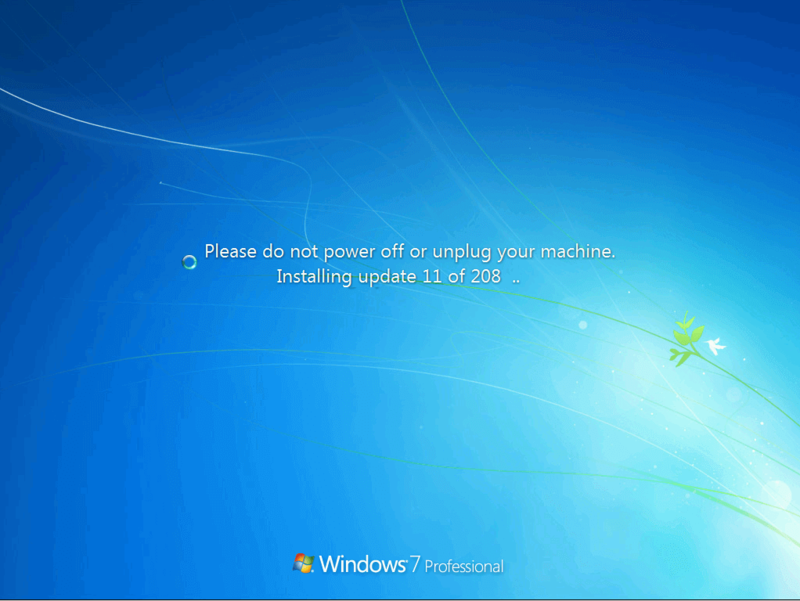 Best yet, the convenience rollup can be injected into Windows 7 SP1 media for a seamless installation. Details on how to do that can be found by clicking here. It’s worth noting that this is a completely optional update. It won’t ever be offered through Windows Update meaning if you want it, you’ll have to manually download and install it.